$15 per portrait. Pay at the door (no advance registration available). We will take and print a high contrast black & white photograph of you. You add the colors with provided paint, in a bright, bold, pop-art style. Fun for all ages and great as gifts! Bring the whole family for some artsy fartsy fun! 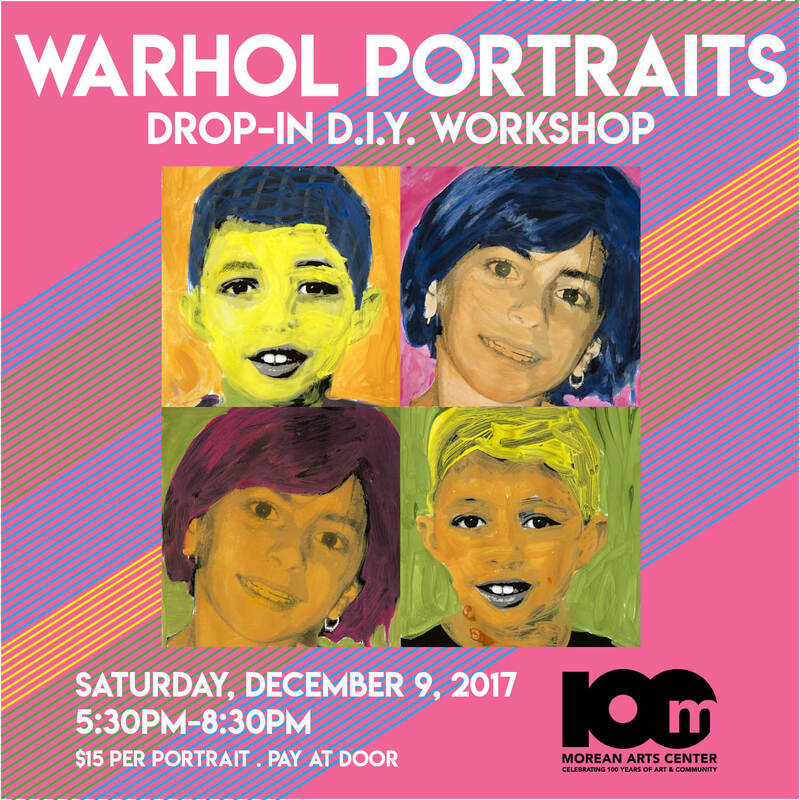 Cost includes your portrait (shot by Morean Director of Photography, Beth Reynolds, and printed in black & white on thick, absorbent paper) plus all materials (paint!) to make a one-of-a-kind pop art portrait. Your work of art goes home with you. Advance registration is not available. Pay at the door when you arrive. This event runs from 5:30pm-8:30pm. Please allow at least one hour to complete your project (arrive by 7:30pm at the latest).